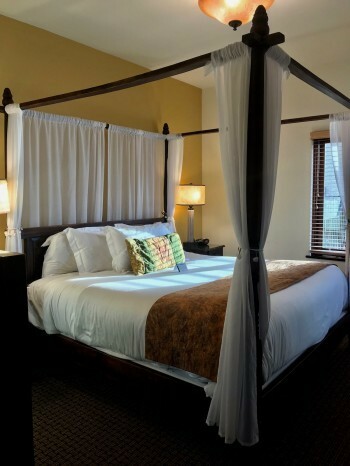 Whether you live in Southern California or across the country, a weekend getaway in the lovely seaside village of La Jolla, California, is a wonderful way to celebrate a special occasion or just relax and soak up the beauty of this charming coastal town. La Jolla is less than two hours from just about anywhere in Orange or LA counties, and easily accessible from three area airports. In our case, La Jolla is about an hour’s drive from our home in Temecula, but we always feel gloriously transformed when we are there. La Jolla is the perfect romantic getaway or destination for families looking for adventure. Walking along the La Jolla Cove is an iconic coastal experience with its gorgeous vistas of crashing waves, fascinating tidepools, and famous seal rock with lots of squawking seals and sea lions sunning themselves. All kinds of water adventures are available, including kayaking, canoeing and, of course, surfing. Besides delicious and diverse cuisine, you can wander into unique boutiques and galleries. The village also offers visitors easy access to Scripps Institution of Oceanography, the Museum of Contemporary Art, Torrey Pines Golf Course, SeaWorld of San Diego, and the world famous San Diego Zoo. Our recent weekend getaway began with a matinee at the much celebrated La Jolla Playhouse on the campus of the University of California San Diego. This 492-seat theatre offers excellent shows throughout the year in an intimate setting where every seat is a good one. Many new shows are launched at this theatre and go on to Broadway. 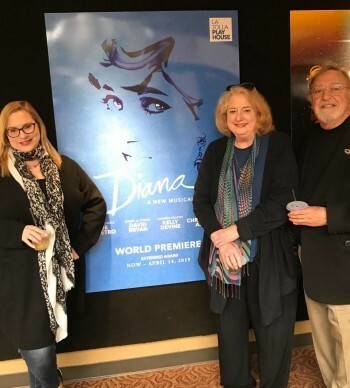 I expect this may happen with the current world-premiere of Diana, a rollicking show of song and dance that we thoroughly enjoyed. The theatre’s tree-studded setting is idyllic and a world-class restaurant, James’ Place, is on site. It’s the perfect place to enjoy dinner or happy hour before a performance. We also bought a glass of wine that we took into the theatre to sip during the show. When you plan your weekend in La Jolla, my advice is to check on show availability and purchase tickets well in advance because the Playhouse shows frequently sell out. 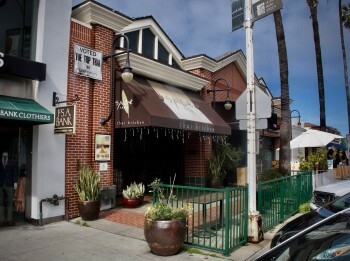 Before or after the show, if you are a wine lover, you might consider stopping into LJ Crafted Wines, La Jolla’s unique wine bar in the vibrant Bird Rock area, where you can taste exquisite wines right out of the barrel while you savor beautifully presented charcuterie platters. 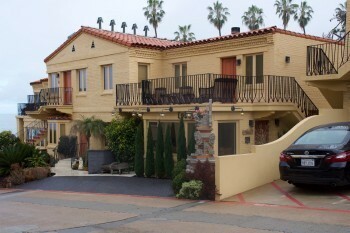 We learned that the Pantai Inn was originally the Shell Beach Motel founded in the 1940s by successful shoemaker Max Heimburge who had immigrated from Germany and created the motel with a combination of La Jolla’s classic turn-of-the-century cottages and Art Deco buildings. The Inn is now operated by Heimburge’s grandchildren, Laurnie Durisoe and Larry Jackman, who completed an extensive renovation a few years ago. 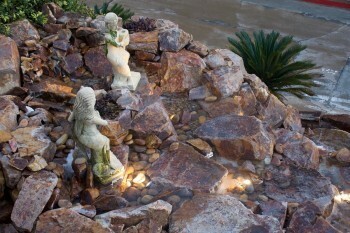 We loved the sounds of waterfalls as we meandered around the inn’s pleasant hibiscus-filled courtyard and sipped wine while we watched a glorious sunset over the cove. 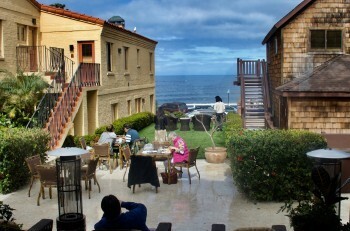 We stayed in a beautifully decorated, two-bedroom suite with a fireplace and views of the ocean. My bed was just about the most comfortable I’ve ever experienced and I loved the shower made of custom stone tile. Every amenity we desired was provided from coffee maker, snacks, and bottled water, to beer and wine available for purchase. A delectable desert tray awaited us and can be purchased in advance of your stay. A full breakfast buffet is provided every morning that includes special eggs of the day, cereal, yogurt, fruit, juices, muffins and coffee. 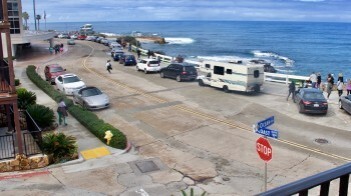 Another asset of the Pantai Inn is its ideal location, not only for walking along the cove, but for walking to La Jolla’s shopping area, restaurants, and bars. The staff was especially friendly and helpful. Reservations can be made by calling 858-224-7600 or 855-287-2682. After settling into our room, we decided it was time for dinner. This is one of the biggest challenges while visiting La Jolla: choosing where to dine. There are so many enticing options from high-end elegant restaurants right on the ocean (such as the Marine Room or George’s at the Cove) or myriad other ethnic and casual spots. This time we felt like Thai and casual so we chose Spice & Rice Thai Kitchen, where we shared a variety of authentic, tasty dishes. We love La Jolla. We were only away from home for one night, but we felt like we had really escaped into another world.